Read the show notes and watch the full episode here. Welcome back to the show. 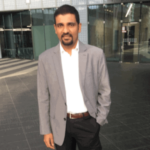 I'm here with Kishore Balakrishnan, Krishna of Adobe. He's the marketing manager for ColdFusion. 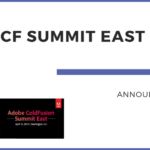 And we're going to be talking about Adobe ColdFusion summit, East 2019. And that's just happening in a few weeks time in Washington, DC. And we're going to tell you about all the exciting things happening there. All the speakers, we've got some news about Adobe that you may not have heard that we're going to tell you about. And also there's an incredible deal not only in the conference, which you won't believe how much the conference costs, but they also have a full day of confusion training at an amazing price as well. 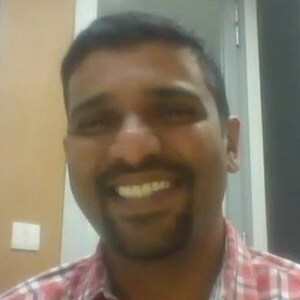 So that more in this episode, and if you have not met Kishore, he used to be a Java developer, and then he learned about ColdFusion and came to the light side from the dark. Now I'm just kidding. But before he went into marketing, he actually programmed in ColdFusion. And you game, a lot of conferences, you know, and roadshow events. So welcome, casual. Thanks for your life. It's always good to be back, talking to you. Fabulous. So I'm excited. How many years is this event being going in Washington DC, it must be like four or five years. Yes, it's the fourth year that we are having this event. And if you remember, we started very small. The first event we had in DC we had close to 30 people who attended the event, and then it sort of grew 200. Last year, we had close to 200 people. And this year, we are aiming to have more than 250 people at the conference. Wow. And how many people I know it's a free event, letting the cat out of the bag there as to how much it costs. Because I know people were listening in suspense, you know, so but you know how many people have registered this year, when you say you think 250 or turn up? We have close to 400 registrations as of now. And we are still three weeks out for the event to start. So we are expecting somewhere close to 500 registrations. And typically we see in confusion around a 60% turn up. So give out right you're expecting any any anything between you know, two to 300 people? Are they even? it's lesson last time, it was very pleased. Yeah, sometimes it's very nice. There's usually at least one week of spring and Washington DC goes from freezing cold, really too hot and humid. But if you're lucky, you get that one week where it's really pleasant. And then the cherry blossoms come out in the Tidal Basin very beautiful at that time here. So perfect timing for having the event. So why, you know, help us understand you have the big confusion event in Las Vegas every year CF summit West? What's the purpose for having this second event? The primary idea was that we have a cluster of customers on the east coast and a cluster of customers on the west coast. And we figured out after after I think after our second CF summit in Vegas that it was not easy for people from the DC or from the west coast to go to Vegas. So that's why we came up with the event in DC. So that'd be good. Be good to talk to people who are there in DC and the surrounding areas. And the reception had been good so far. So there's definitely a lot of ColdFusion developers on the East Coast who come to events there. So great, yes. And every year, we are seeing an increase in the number of developers that are coming to the events like you would have seen and even the Vegas event last year was bigger than the year before. And hopefully this year, the Summit East is going to be bigger than what it was the last year. So that's great. And that you you know, you've bringing CF summits to where the people are. And I know last year you even had one in India as well. Well, I I know there are a lot of confusion developers. So last year in December, we had this festival competition summit and India. Because, you know, we have a critical bunch of developers in India as well. And it's not easy for people to travel from India to us. So we had the first ever event any the Adobe offices. And we have the whole engineering team there. We had close to around 230 people who showed up for the India summit. yes, we will definitely be doing it this year. there are a large number of completion developers in Europe as well. So that is another possibility that we are looking for looking to see if we could have an event in Europe, or maybe, you know, the CF camp already in euro, maybe tie up with CF camp to see if we could have a one day event in Europe. But that's not in the cards for this year, but probably for next year. Well, that would be very exciting news for folks in in Europe. I know. Yes. So cool. And and I know I saw some pictures on your Facebook, where you been to dev week in San Francisco and talking about ColdFusion there. Yes. So what we realized is, you know, we need to increase the awareness of confusion among the typical developers who are coming out of colleges. So developer week is the largest developer conference in us. They had close to around 1000 attendees, attendees who attended the event, this was an Oakland Convention Center. And we had a booth there. And Alicia had a couple of sessions or as well, where she spoke about confusion and API management platform that we ship along the confusion. And the reception was very, we were pleasantly surprised by the number of people who turned up wanting to wanting to learn about what colocation and some of them old timers who used to work, but the previous versions of Corporation, even they turned up, and one to know more about collaboration that worked on version three, or five. And they thought that there was a condition was nowhere, we had stopped development of confusion. And when we showed them the newer feature, they were really interested. ColdFusion has improved a lot. And you know, like, someone said to me, at the end of the book conference, you know, this is not your father's ColdFusion, you know, so that's a joke on it's not your father's ultimate automobile, for those of you who are not American, just to say that if you only use ColdFusion, in version three, or even inversion, eight, you know, whatever, from 10 years ago, you're missing out on all the amazing changes that have happened in the language and also an ecosystem around it, which I think is also, you know, impressive, because there's a lot of modern tooling that's used in with ColdFusion, like Docker command box, guys are the things that, you know, put it ahead of most other languages. Yes, point. So that is the point which we were trying to convey even a developer v. And a lot of the developers who are just passing out of colleges, they were really interested, which was heartening to see because they wanted something the core concepts of cultivation of being rapid application development platform, which, which, which does your security and the other performance belt, and that sort of draw the attention of the people over there who are in the booth, and we had a steady stream of traffic, which came into our booth. Both the days. Michaela: So why why should develop a come to a ColdFusion conference? Because some people listening may never been to a ColdFusion event, your conference? And I'm wondering, what is it that people get out of it? For starters, you get to learn about the new improvements, new features that are been introduced in the latest version. And also you get to learn about what is the future roadmap going to be, as we are, as we are told repeatedly, that we have a fire. So support policy that we have any of the current releases. And we also would ideally like to tell people about our roadmap, get their feedback. And it's also a nice, great place for people to interact with a fellow competition developers. Last year, our CEO Summit East, this thing happened when they were like around 20 people who are sitting together chatting. And when I went in, they said, like, Hey, you know what, we all of us work in the same building. And most of the times, we rode the elevator together, we spoke about everything else. But we know and never spoke about what technology will work. And they came over they they figured out all of them were working with coefficient. And they had formed a user group there right now, and they are meeting regularly right now. obviously, at the summit, we have most of the Adobe staffer as well. So it's also a great place for you to if you have any issues with any queries, any support issues, we usually bring the support staff also along. So that would be a great place for you to come and tell us what the issue was. And most of the times we try to resolve it if we could, then and there itself. Wow, that's an incentive to come on all by itself. Definitely. And then, if people have suggestions for improvements to ColdFusion for new features for the future releases, you know, you've got the upcoming ColdFusion 2020 release coming out. Yeah. Can I talk to people about that, too, or? Yes, Russia, the product manager is going to be there are she shows the engineering director, he's also going to be there. And most of the staff from the senior levels in the code efficient be will be there. So he could, if we have any ideas, any suggestions, you feel free to come and talk to him either offer all of us. a face to face conversation. Exactly. So. So let's reveal what the speakers and topics are this year, because there's a lot of great speakers. And looks like some really interesting topics you've got lined up. So looks like you, you've got Rakshith is going to be speaking. Yeah, I'm sure there's gonna be speaking about the language enhancements that we did in qualification, as well as what the future direction is going to be. And on and he saw he's the product manager for ColdFusion. So he's like that he's whether the person who decides, you know, an organized is what features are in each release. Is that right? Or? Yes, yeah, he's he's he have a, as you rightly said, if you have any feature suggestions, he's the guy to talk to. All right. And he's giving a talk on leaking out with a smart language additions in ColdFusion 2018. And I must admit, there's been some really cool things added to confuse in 2018 with the security and performance and new language features. So a lot of new things learn. I don't know if you can even learn all the new things in the car. He's got for his talk, so many new stuff in there. Now, he typically does a good job offer, he shows a lot of code snippets. And he shares those code snippets are the end of the summit. Fabulous. And then, Alicia, I will also be speaking as well, Alicia divorce. She's the CO fusion solution consultant and evangelist and Adobe. And I think she's talking about performance monitoring. So there's a whole new set of tools and ColdFusion 2018 for monitoring your server. So 2018 came up with the on the primary calling God for 2018 was around performance. And we introduced sort of products around the call the performance monitoring tools to talk about variant he could the users could you know, monitor, manage your servers using the coalition performance marketing built it. Wow, that sounds very useful to learn about. And then Charlie Arehart, long term ColdFusion troubleshooter, and he's been speaking for four years different conferences and confusions a real expert. And he said he's doing a updated but talk he's given before. It's all totally new material, but it's the hidden gems inside confusion 2018. Yes, sadly, has been that Jamie has actually spoken and all the competition sermons that we had tell now, both in and, and Yoda seen him and most of the other conferences as well. I know I'd seen Charlie at see all the CF objectives I had been to. I'm not sure about etsy.com. But I think he should have been speaking in Encino corner as well. And into the box. I'd seen him a couple of times and into the box as well. So and then CF camp. Yes. In Europe. Also people had seen him in Europe also. So Charlie as as big as well known and his dog about I know, hidden gems is something that I would never miss. Yeah, because he kind of goes through all the release documents and all the details in there. And even some things that sometimes aren't fully documented, and he brings them out, explains how you could use them. So even people who've been using ColdFusion 2018, for, you know, six months since it came out, you might be amazed what's in there that you haven't learned about. So definitely. Great tool. And then turning to ColdFusion security. And I did a post recently on on LinkedIn showing that call fusions, you know, one of the most secure languages out there. And you've got ColdFusion security expert Pete three tag, and he's going to be talking about securing mature confusion. So tell us a bit about that. they do, that's terrible. I mean, I just want to let people know that CF 10 went to end of life last year, that means no more hot fixes CF 10. Forget about CF 987. Anything else, or they're not getting hot fixes easier. And that what that means is if a hacker finds a security issue in one of those old versions, you know they could get in new would be nothing you could do. And then see if 11 goes end of life on April 30. I think that if I read it, right, so you've only got like a few weeks left before your CFO 11 is end of life. So anyone listening is running CF 11 or older really needs to update their ColdFusion. Most of them do update. So pizza session talks about you know how you could security are all mature databases and systems through this a series of steps that need that help. And the good thing is Peters also doing a hands on session on security. If you have not done before session on security, that's one of the must do's handle hands on sessions, because he doesn't amazing job where and he goes through each one scenario after the other. And he gives you an example files on how, you know you could exploit the security vulnerabilities that is there already and how you go go about, you know, preventing them from happening. And Peter's an excellent speaker. He is well we'll talk a bit more about those pre conference full day training sessions further on. Brian class, he's going to be speaking, he's from john Hopkins university. And he's going to be talking into going surplus with ColdFusion on AWS, Amazon Web Services. So tell us a bit about that. I sounds like very modern thing to be doing. Yeah. So Brian Clark has been, you know, working with AWS and ColdFusion for quite some time. And, you know, he normally gives us talk about you know, how to move your things on to the cloud. And if you want to set up a server or Dr. cluster on cloud, how to go about that. You know, it's like how to get started with the servers environment on AWS. And he talks about the step functions, how you could orchestrate your functions and services within the AWS cloud. So if you are planning on moving to AWS cloud, or even if you just want to learn about how to migrate your systems are to AWS cloud, this is one of the must attend sessions. And usually, we had the session ones i CF summit in Vegas, really well appreciated the session. And Brian clauses an amazing speaker. great stuff. And then I know, you know, a lot of people are concerned turned about their database code, because the number one reason we see in the state of the ColdFusion units or survey for slow apps is that it was nothing to do with the ColdFusion, it was all to do with the sequel code. Exactly, though. You've got Eric Carr, who's a Derek, database development manager, and he's gonna be talking about faster queries. I know that's a lot of interest to a lot of people. Yeah, well, what we are seen as most of the bands, whenever someone says My website is performing slowly, it most of the time, it was down to you know, your database interaction. if if if they're interacting with the database, it normally boils down to, you know, how we are written your SELECT statements, or your stored procedures, or with your index your tables correctly. And so I think Erica does a good job of, you know, going through diet and telling people, what are the must thing, things that you need to worry about? what we are trying to do is we are trying to see if we could record all the sessions and put it up. Oh, that would be fabulous. That way people if they miss something, or even if you attend a session, sometimes it's nice to watch the recording and you learn stuff you kind of missed when you are when they're in person, so or to share back with your team. So, you know, that's fabulous, you're doing that. Now, turning to the front end to the UI, Giancarlo Gomez down and he's from he runs the coffee from user group down in Florida, South Florida. Yeah. And he actually was the first person I interviewed on the CF live wet webs, podcast. Nice, a few years back. Anyway, he's talking on refreshing your UI modern uses for web sockets. So tell us a little bit about them why people would might want to use web sockets. So basically, what he does Indian colo session, you will learn about you know how easy it is to implement web sockets inside your application. And he normally goes through sort of real world users of that WebSockets. And also he gives you some tips and tricks to help you help the customers get them up and running on using web sockets. integrate more responsive as well as you know, instead of picking on preference buttons, if your page is going to load slow, or use web sockets, to see how you could make it run faster. And one of the you know, I don't know if he's going to show this in his talk. But you know, one of the common apps is like having a chat app. Yes, that pops up inside your application. Yeah, sure, definitely. So it normally gives you a preview of what men is going to talk about. And unfortunately, I was not able to attend main session last year. But this time, I'll definitely attended. I heard a lot of good things, but how he spoke about parallax, close handling simple animations, you know, those sort of things that you could leverage and how you could interact between ColdFusion and react as components. And how you could have built some really cool apps, I think the video he put about was about the animated thing, which was running around. So let's turn a bit back to the back end for a moment. And as kind of what I want to call it until recently, it was like a bit of a secret feature in ColdFusion enterprise, which is the Adobe API manager. So and so many apps, you know, now use API, it's just like when they're working with with React, or they're working with other, you know, applications within the enterprise and have to communicate through API's either receiving them or generating those API's. And, you know, I know that can be a lot of problem with, you know, is the API being overused? Or do you have to meet her it? Or, you know, are you doing some kind of version control? So, this API manager is the answer to that. And it's been out for, I guess, more than two years now. But anyone who's, you know, using API's in their enterprise really should look at us manage, it comes included with ColdFusion enterprise, and Brian's RP, the application architect the Market America, he's going to be talking about that. So tell us a bit more about his session. So market, America has one of the very first customers who adopted the API management platform that we came out in 2016. Actually, even before that, when we were in the beta phase itself, they started interacting with our development team, to work closely to see how what are the things that they needed. And I think they were the one of our first customers who went live on production with the new API management platform. We have already done a case study with Market America, where they replaced layer seven, as they, as they were called tuition for the API management platform. So that shows the value add that ColdFusion brings in for its enterprise customers by just adding a product which is being sold. I think, in the case study, if I remember correctly, market, America said that they're saved close to I think $40,000 per per year by replacing layer seven, but the competition API management platform. So in this talk, if you see Brian Sapier normally talks about what are the hidden features that you should be looking for? And they are how if you have migrating from an existing platform, what are the what are the things that you should look for and how to automate your workflows and integrate with other third party sites, which is typically the way most of them create their APIs. Wow. And then the last breakout session is by Lewis, my hanno of otter solutions, and he's going to be talking about revamping your monolith ColdFusion app with hierarchal MVC model view controller. So tell us a little about Lewis and his session. would have known artist solutions. And Lewis, they would have used some of his framework, some of his tools, whether knowingly or unknowingly, they would have interacted with other solutions. So I didn't lewis is again one of the few speakers who had spoken and almost all the CF summit I think, barring one I think he was there and all the summit and otter solutions usually have have a couple of four or five guys who are there at all the summit's you know Brad, he's there and most of the summers and in this session, I think Lewis typically talks about you know, how architecture behind the hit NBC and how do you create a restful application that is modeler and scalable and how great he also looks at you know, how to contextualize them and deployed on doctors. Now there's one one speaker we haven't talked about and that's the keynote speaker and that's the Tisch Garg if I'm saying his name, right. actually got has been engineering director for quite some time now not take more confusion as well. So I should God is our director of engineering for the learning products, which include captivate director think and now he has Connect as well Adobe Connect as well. And he has taken over ColdFusion the engineering responsibilities of cultivation. And for folks who remember Jaron Ashish was in the German team as well. And as he's as has been with Macromedia, then as part of the merger, he came to Adobe. So he has he's a veteran and Adobe. he'll be talking about the state of confusion. And she also has a new product, which they have developed from scratch called captivate prime. It's an lm s solution that Adobe has done that. So what we are planning on doing is talking about what are the challenges he faced building an enterprise class application, and the, how he went about solving them. And also he will talk about the what the future of Adobe corporation is going to be, what are the features that we are looking at implementing in 2020. And also what we are planning on doing as, as usual, bring in a couple of customers who will talk about their journey using competition. That that was one of the great parts of the key notes in Vegas, where you had the guy from NASA telling us about how they they have focused on using ColdFusion for a lot of their software and how it pass some of these amazing space missions they do. So yes. You know, it's very inspiring stuff there. So let's, before we come back to the pre conference training, which there's some very exciting stuff there. Let's talk about some of the details of the conference. So when exactly is the conference? What are the influences on April 10? It's a Wednesday, I hotel renaissance in DC, Washington, DC. So it's downtown DC on Ninth Street near the metro. Yes, it's very close to the metro station. Maybe about five blocks away from the White House, if you have some idea of the geography of Washington, DC. we we have to get you out of the hotel this year. I hope you can see at least some sites of Washington DC. Yes. Yeah. And then the conference runs from 8am to 5pm. So and includes breakfast, lunch and and breaks, coffee, snacks and things. Yes, I didn't plan includes everything. So you got all these amazing speakers, all this knowledge and networking, and food, wonderful location? And how much does this cost for this conference? don't $1,000 What do you say? No, it's free. It's free. Yeah, great. to was about the two different options you have in that the full training day. 9am to five, I think 4pm. And we have two options. One is the security workshop, which is given by Pete for tag. And the other one is the Angular and CFL workshop by Nolan. Till now, and in this workshop, what he'll do is, he'll start off by saying how to build apps with Angular, and basically get started with Angular, then he'll also show you ways in which Adobe coefficient could create the server side API's and use Angular as a front end for it. good, yeah, it's good. I was gonna say it sounds like a really modern way to code. Yeah, you know, the way he's talking about his workshop, so you haven't picked up some of them the modern coding techniques, that sounds like a great thing to attend. And then you just bring your own laptop. To this, I, I guess you need to make sure you've got ColdFusion on your laptop, and maybe a few other things. So we, what we normally do is we send out the prerequisites, like three or four days before the event. And it takes hardly like, one hour, 30 minutes of setup time. Or if you don't have the time, you could come like one hour before the event starts. And we have some people over the training, teaching assistants over there who could help you set up. Great. And then you know, usually I know, a day of training, where it's like a hands on class like this, it's got to be at least $500 a day. How much are these one day trainings? Nine $9 billion. that's like, incredible. And that's in DC, I mean, it must cost at least that to pay for the space in the hotel. So it's like, a great deal to learn hands on from these ColdFusion experts, Pete and Nolan. And then I know on the the Thursday, and Friday after the conference, there's some post conference workshops that artists is doing. So at doing the code box from zero to hero training, I think it's like two minutes away from the Regis Hotel. Yeah. They're doing a two day event, I think they normally do this hero to zero to hero workshop. For I, if I remember correctly, it's a two day event. can be more than happy to do that. Yeah, it's oddest thing of, you know, giving back to the community and getting to meet our customers. It's one way for us to meet our customers to talk to them and find out, you know, what they were they really, really need. And then tell us a bit about how ColdFusion has been doing in the last year, you had a big release with ColdFusion 2018. You Back in October. So competition has been doing really well. 2018 has been was really great and 2019 we had hit the ground running for 2019 as well. So this is turning out to be another blockbuster. Yeah. That's great. And you know, it's we're already a nearly a quarter of the way through 2019 and ColdFusion 2020 years coming out next year. Yes. So lots of exciting stuff. Yeah, I mean, I know that will be talking about what are the new stuff, which is going to come out in 2020? in the keynote as well. Oh, okay. Exciting. Do you know when the beta starts for the ColdFusion? 2020? I don't have the date with me right now. But I could send it across to you. Yeah, I think that will be interested. And it's an open beta. So anyone who wants to take part in that it wants to try out those new things and competition 2020 we able to do so. So yeah, definitely. Alright, so let's just wrap up with some questions. I asked all people on the podcast, firstly, why are you proud to to use ColdFusion and to be working with it? Well, that's, I told you about my story. Last time, and so called vision has been one of the few languages which I picked up when I was doing man that graduation, and fell in love with that, at that time, this was 1998 that I was talking about, if I remember correctly, and this was a non college lab. And you know, at that time, creating a simple website itself was a huge thing. And if that website could interact with the database, and showed the result, that was even fantastic. So that's when I fell in love with Corporation. And after joining this team, I'd seen how passionate the to the customers are the ColdFusion. And also what are the new advances that the engineering team is working on. And I've been proud to, you know, acting as a conduit between our customers, and engineering team. So it has really been an amazing journey. That is amazing. It's great that someone who looks after the marketing of ColdFusion, understands some of the technical stuff. But then and has that technical depth in your career. So. So let me turn to the penultimate question, which is, you know, some people have said, ColdFusion is dying. And I think I've we've shown that that's not the case, but of this podcast and the book I published, called fusion alive. And just all the great news coming out from all corners of the ColdFusion community. But my question for you is what it takes to make ColdFusion even more alive this year. I think from a community perspective, if we could get around the fact that other something which we are working on to see the word, that coefficient is seen everywhere. When I say conditional seen everywhere, what I meant, what I actually meant as if there's some new technology was just coming up. And if they have code snippets on, you know, how do I go about doing it? And if we could add the coefficient code snippets in there as well. Now, that is one short short way of people to getting to know that confusion is still there and put vision being relevant or something which would be addressed by that. That sounds like a great thing to do. So tell us what are you looking forward to a CF Summit East? Are you talking about the one in Vegas or NBC? according to the last count were newer people who aren't registered. So it'll be interesting to see new accounts, new people in the team and find out what what they're up to and how we could help them. got to get you out of the hotel was time there's so many site and we didn't mention that during the interview. But I mean, there's the National Mall with all these free museums, there are all kinds of other museums like the spy museum and there's all kinds of parks and beautiful stuff there's a so you know if you want to see the white house or Congress you can see those I think you have to arrange to get a tour of those ahead of time but yeah, certainly see from the outside for free without having to pre arrange it and and then I all kinds of restaurants nightlife in Washington, DC as well. You know, I know myself that there's the whole h Street corridor where there's a lot of jazz and other music, and then there's us Street. So a lot of amazing things to see and do in DC if you're there for a few days. The area. So great. Well, I will put all the links to the CF Summit East in the show notes which can find it the Terra tech website, and also those other things we mentioned during the call put into the show notes as well. So thanks so much for coming on the post cost today. Thanks, Michaela. It's always a pleasure talking to you.